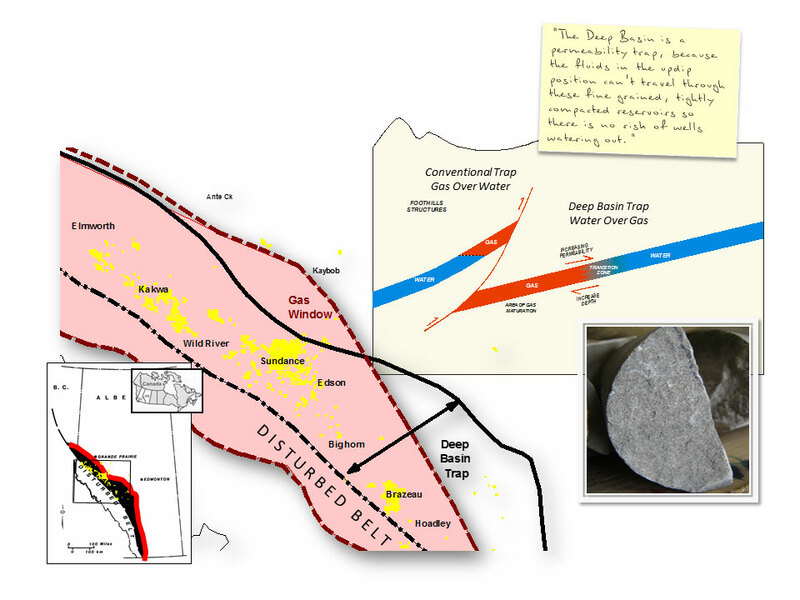 The Alberta Deep Basin is a geologic setting situated on the northeastern front of the Rocky Mountain belt in the deepest part of the Alberta sedimentary basin. 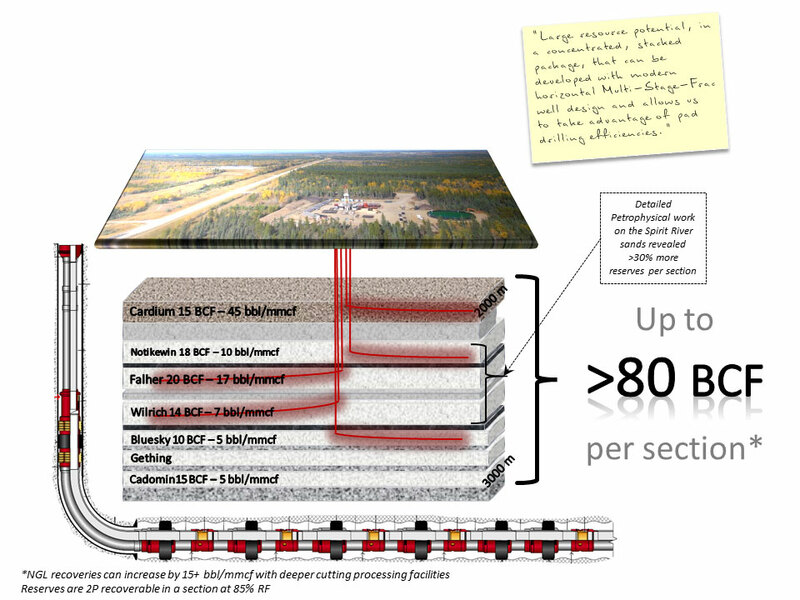 Since its inception in 1998, Peyto has deliberately focused its attentions on exploring and developing the vast, sweet, liquids-rich, natural gas resources uniquely trapped in this basin. A lack of mobile water throughout the thick, tight Cretaceous aged sandstone formations results in higher reserve recovery with lower recovery risk and more predictable production profiles than conventional reservoirs. Over time, Peyto's engineers and geoscientists have developed expertise at the efficient and profitable extraction of this resource basin through economically and environmentally sustainable development. The multiple stacked formations within the Cretaceous aged sandstone rocks contain a large volume of liquids-rich, sweet natural gas that can be commercially developed using the latest horizontal multi-stage fractured well designs. As a result, Peyto can re-use a single collection of surface infrastructure including roads, pipelines, wellsites, and processing facilities to develop the various layers over time. This allows for concentrated development and production operations that are more efficient resulting in less land disturbance and reduced environmental impact.